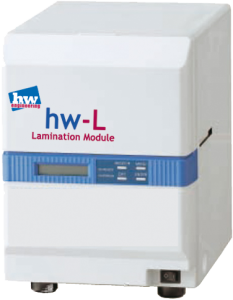 hw-L Security Lamination Unit family is designed to be a modular system when used with hw-1 and hw-8 printers. Configurations for single and double side lamination available. All types of security overlays available through co-operations with a leading manufacturers. Please send your inquiry.